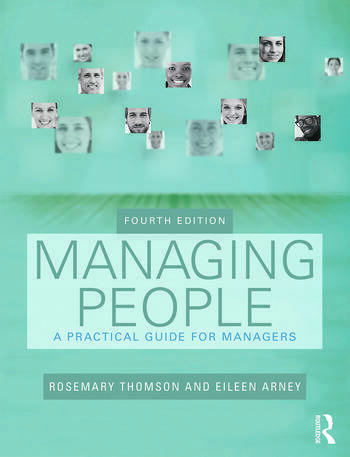 This updated and exciting fourth edition of Managing People: A Practical Guide for Front-Line Managers addresses the growing needs of front-line managers who are not themselves specialists in personnel management but whose roles require them to have these skills. A growing trend over the last two decades has given these managers an increasing amount of responsibility of direct line management, which can be extremely challenging especially if the correct training is not given. This book examines how the different parts of managing people fit together, whilst acknowledging that different contexts require different approaches and recognizing ongoing organizational, environmental and legal changes that affect the employment framework. It recognizes the rapidly changing context in which modern front-line managers have to operate and acknowledges the increasing expectations of good leadership as a necessity. However, the book also emphasizes the need for front-line managers to understand themselves, their own management styles and attitudes, together with the importance of empathy in appreciating the perspectives of the staff that work under them. Managing People: A Practical Guide for Front-Line Managers is designed for both new managers and for NVQ/SVQ Level 4 students. It is also appropriate for the first stages of Foundation Degrees and for HND courses combining academic study with workplace learning.